New Delhi: After Jaipur and Ahmedabad, the Union Health Ministry has now sent a team of experts to Madhya Pradesh to confirm and verify reports of Zika virus cases in the state. 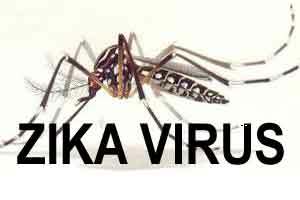 A central team comprising of experts from the National Centre for Disease Control (NCDC) and the Emergency Medical Response (EMR) have gone to the state following information about three persons being detected with Zika virus, a Health Ministry official said. He said the state health department has been asked to keep a close watch on people suffering from symptoms of the mosquito-borne disease. Meanwhile, an intensive screening exercise is being undertaken and vector control measures have been intensified at Ahmedabad after the first case of the mosquito-borne disease was detected this year in Gujarat. Zika virus, transmitted through the Aedes aegy mosquito, causes fever, skin rashes, conjunctivitis, muscle and joint pain. It is harmful to pregnant women, as it can lead to microcephaly, a condition in which a baby’s head is significantly smaller than expected, in newborn children. During the latest outbreak of the virus in the country, the first case surfaced on September 22, when an 85-year-old woman with no recent travel history tested positive for the virus in Jaipur. Since then, the number of Zika cases have risen to 153 in Rajasthan. The disease is under surveillance of the Union Health Ministry although it is no longer a Public Health Emergency of International Concern under the WHO notification since November 18, 2016.